Crawford & Company Broadspire, Inc. 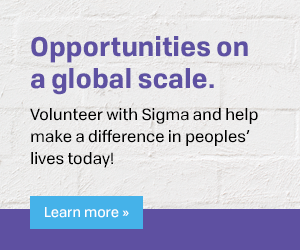 The Sigma Foundation for Nursing, as a separate 501c3 public charity, supports Sigma Theta Tau International Honor Society of Nursing (Sigma) to actively fundraise for and protect its permanent funds. The Foundation is the primary fundraiser for Sigma. The Foundation coordinates all corporate, foundation, and individual contributions and relationships for Sigma and works with appropriate Sigma staff to match donors’ interests with the appropriate Sigma program.